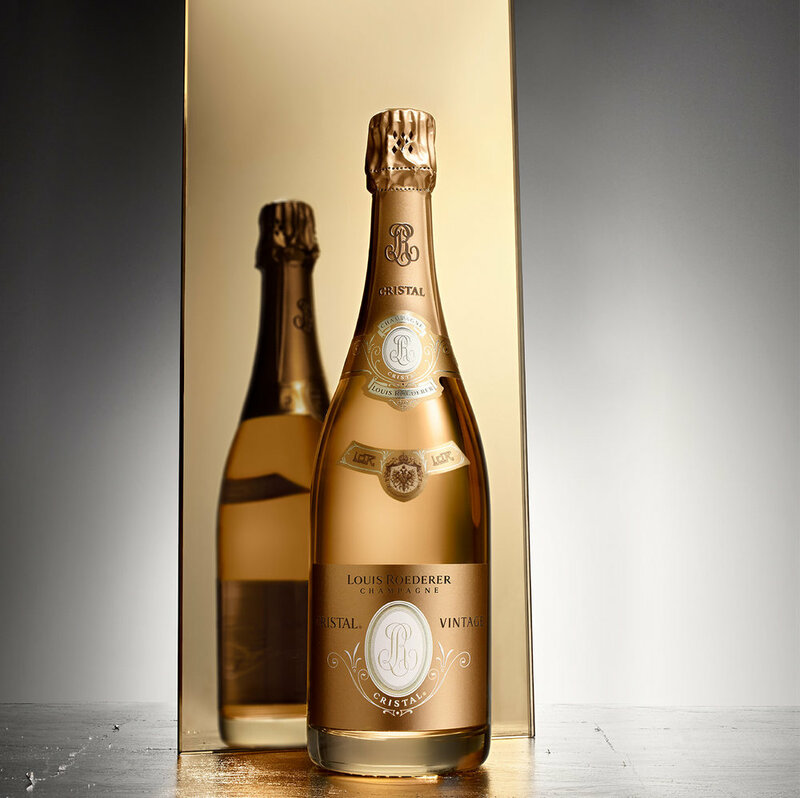 In 1974, 100 years after the creation of Cristal, Jean-Claude Rouzaud decided to create the Cristal Rosé cuvée. To achieve this, he selected old-vine Pinot noir grapes from the finest Grand Cru vineyards at Aÿ, which are now cultivated according to biodynamic principles. The unique calcareous clay soil, which gives the grapes an exquisite minerality, enables the vines (in the best years) to attain exceptional fruit maturity, complemented by a crystalline acidity. The attack reveals an aromatic intensity with a remarkable fullness and the smooth, sweet flavours of white flowers, red fruits, caramel, and Tarte Tatin. The full, round, and refined texture in the initial attack, which is characteristic of the Louis Roederer Champagne House, is complemented by a winey—though not full-bodied—structure and a remarkable freshness, giving an impression of great finesse and strengthening the wine’s precision.